It’s been thirteen years, but Nintendo of America president Reggie Fils-Aime is finally hanging his boots this spring. The long-running CEO will be replaced by Doug Bowser, who’s the company’s current Vice President of Sales and Marketing. Bowser will become head honcho on April 15 after Fils-Aime vacates the post. Using video game language, Fils-Aime spoke about his future departure and what awaits him next. “As I look forward to departing in both good health and good humor, this is not ‘game over’ for me, but instead ‘leveling up’ to more time with my wife, family and friends”, said Nintendo of America’s president. But no matter how we look at it, it’s clear that Reggie’s tenure at Nintendo of America has been a successful one. After becoming president in 2006, he oversaw the launch of the Wii console in the US, a massive success for Nintendo. The 3DS handheld was also a heavy hitter, bringing in millions in revenue to Nintendo’s coffers. There was also the Wii U – something of an embarrassment for Nintendo, a doomed console that not even Fils-Aime could turn into a success in America. Despite this and other missteps during Fils-Aime reign, there’s no denying that the US executive did more good than bad for the video game industry, and Nintendo’s president Shuntaro Furukawa had kind words for the soon to depart Fils-Aime while also praising his successor. “Inside and outside our company, Reggie is known as an exceptional leader. We are grateful that he is leaving the business in good shape with strong momentum. While we will miss him and we wish him the very best in his retirement, we are also pleased to have such an able successor ready to step into that role. 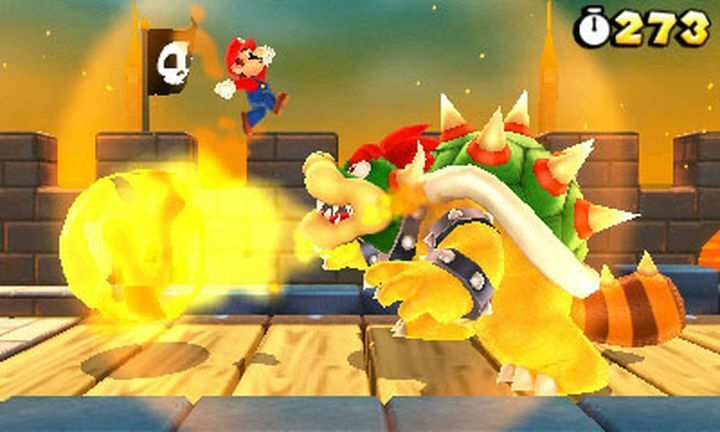 Doug Bowser and the rest of the team will ensure a seamless transition and continued momentum for Nintendo”, said Furukawa. But what will Nintendo of America’s future look like know that Reggie Fils-Aime is departing the company? It’s clear that Nintendo is in a rosy position right now: it’s Nintendo Switch console is doing formidably well, having already sold more units than the Wii U did during its entire lifetime, and will also be getting some highly anticipated games this year such as Wolfenstein: Young Blood. It would be a great thing, then, if Nintendo of America kept doing well after Reggie Fils-Aime departure, and that Nintendo as a whole keeps offering gamers unforgettable gaming experiences in the future.